We made another large payment on the property in January. God always provided. We continued with the monthly payments but I always paid much more than required. God directed me to go on television at 8:00 PM Saturday night. When I inquired at the station Jimmy Swaggart had the time reserved. A telephone call was made to him by the station owner and Swaggart replied that he had decided he no longer wanted that time. In April we began broadcasting a live one hour television program in Dallas on Channel 49 on Saturday from 8:00 – 9:00pm. The False Anointing. During a prayer meeting in September a spirit spoke to my wife Patti and told her “lay hands on Debbie Edge and tell her to be filled with the Holy Ghost.” When she did that both women broke out into hysterical laughter. I immediately went over to them and when I got within two or three feet there was a noticeable heat that hit me. There can be heat with the power of God and there can be a heat with demonic power, only by the gift of discernment will you know the difference. I questioned what had just happened. My first thought when Patti told me what she believed God had said to her was why did not God tell me? This was my first consideration that this may be act of rebellion and not the Spirit of God. Knowing scripture I had to consider several things. God had placed me to lead this ministry. When God wanted to move Mary and the child Jesus He spoke to Joseph, even though Mary was the mother of Jesus. You see I knew Patti. To explain why she yielded to this is easy for me. For about fourteen years she gave herself little to reading and praying. She liked the world and her heart didn’t want to accept what was necessary to obey God, so it was easy for the devil to speak to her and give her a command because she did not have her faith and love perfected enough to resist this devil. This spirit broke out all though this congregation. People would yield their members to it as it speaks in Romans 6. It took no faith to operate this spirit. Faith is of the heart and this spirit worked through the flesh. It didn’t take believing a person would just yield to it as one would yield to a feeling or impulse. Some would laugh for long periods of time, even during teaching. There was howling and wailing. People would change seats because they believed God was telling them to do so. Some could step near a person and that person would fall over. I saw some doing somersaults and rolling on the floor. People would walk or run around the perimeter of the sanctuary. One Sunday Basil and Kay Clark were leading worship and that spirit moved in on the whole congregation. All I could do was walk back and forth across the front of the church just thanking and praising God. I said to the Clarks, “I’ve lost control over this ministry.” I thought to myself, maybe that is what God wants. I first encountered this spirit in a meeting lead by Kenneth Hagin in the 70’s. He would point his finger at someone and they would fall over. Kenneth Hagin then went on to where he would blow on people and others would swing their coat or say “fill” and they would fall over. I saw the same on television with other ministries demonstrating this same spirit. I’ll always believe that this spirit came to this ministry through a graduate of Rhema Bible Training Center in Tulsa Oklahoma. This was the most trying time of my faith I have had. I did not want to come against the Holy Spirit and I was not going to move until I knew for sure what spirit it was. It took Patti completely over and she became my enemy. I would have to go pray away from this building and everyone in it to overcome. Ezekiel Guti on a visit here from Africa said to me directly, “you need to stop this thing.” I replied, “I will when I have the faith.” That same spirit went all over Africa. I fought with this spirit until 1998, fourteen years. Its intent was to seduce my faith and lead me to follow it. There will be more about this in the coming years ahead. The Trip to Israel. A group from Water of Life Ministries left in October for a tour of Israel. We were joined in New York by a group led by two Baptist preachers. The tour consisted of forty-four persons from New Mexico, Texas, and North and South Carolina. While traveling around Israel a woman that owned a Baptist bookstore sat across from me and found out that I was a prophet. She began to flatter me with “Oh, it is so nice to talk to a prophet!” One afternoon discussing an issue in the Body of Christ, I gave her as an example the seven Spirit- filled churches in the book of Revelation. I said to her, “Understand these were not seven Methodist churches.” A spirit in her pointed her finger at me and said, “I rebuke that critical spirit in you!” My reply was, “That Spirit is not critical, it is trying to instruct you if you will listen.” By early afternoon she became affected greatly by the power of God as in Isaiah 44, God maketh diviners mad. This woman walked in witchcraft and she had rebuked the Holy Ghost. 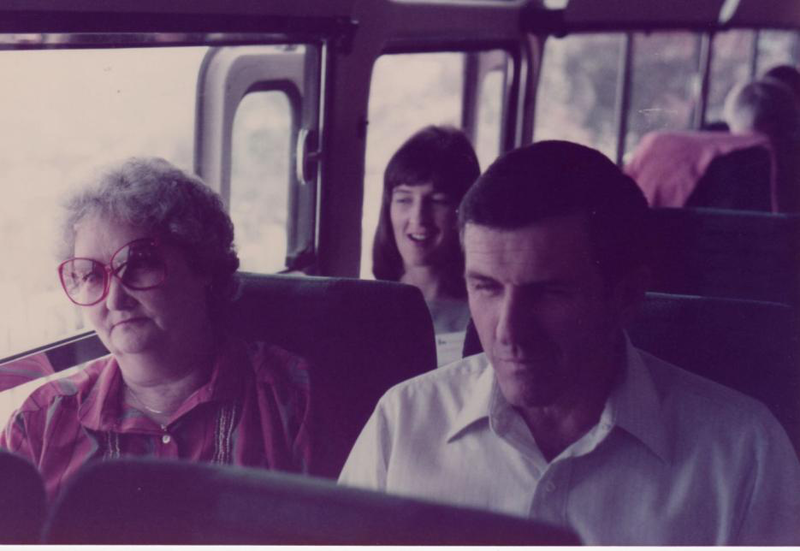 Doyle and Patti on the tour bus in Israel. 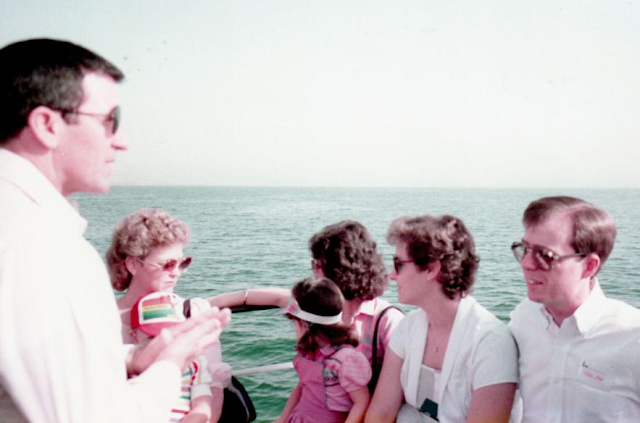 Doyle and others from Water of Life on the Sea of Galilee. In the little while a stewardess on the airline came looking for me. She said we’ve got to admit this woman to the hospital in Brussels. I said this woman is with me and I will give the airline permission to admit her only overnight and only if the two physicians sign for responsibility to admit her. This took a few minutes but they finally accepted my conditions. Frankly speaking, my group wanted a good night’s sleep anyway, so God was having mercy on us. We boarded the plane for New York. When I got on they had already had put this lady in her seat. She was flanked by two of her friends and a sheet over her. She pulled the sheet down and said, “Is Doyle Davidson on this flight?” I stood up and said, “Here I am!” She responded, “We’ll be OK” and went to sleep. She only woke up a short time before we arrived in New York City. I made sure she got through customs and then turned her over to those from South Carolina. We continued on to Dallas Fort Worth and home. I did receive information one month later that she was under psychiatric care. I have not heard anything since. Divine Appointment in the Garden Tomb. In the mid-1980’s Bartholomew Manjoro, a student at Christ For The Nations, came to my ministry. He was associated with Forward in Faith Ministries in Harare, Zimbabwe. Bartholomew was the number two man in the organization and had been with them for about twenty years. He and I became good friends and he invited me to come to Zimbabwe in 1985. During October while at the Garden Tomb in Jerusalem, there was an African man and two African women, myself, and two women with me, in the Garden Tomb at the same time. 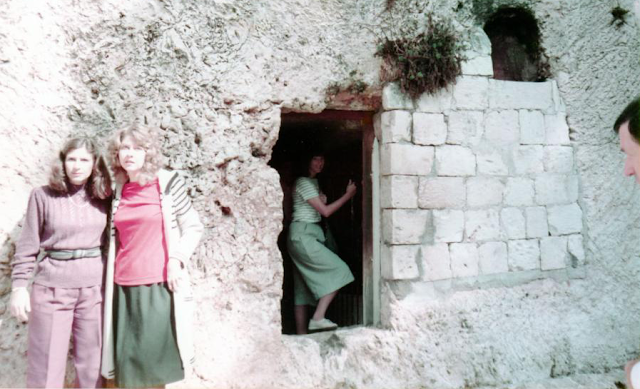 The power of God was strong and all of us were shaken by it while at the entrance of the tomb. It was there I discovered the African man was Ezekiel Guti, the founder of Forward in Faith Ministries, the group I was scheduled to visit in Zimbabwe. God arranged Ezekiel and I to meet and talk. It was a divine appointment. He asked me if I could be in Harare the first Sunday in January and the arrangements were made.